Ravi Shankar Prasad also termed the shortage of international arbitrators as a 'sorry state of affairs'. 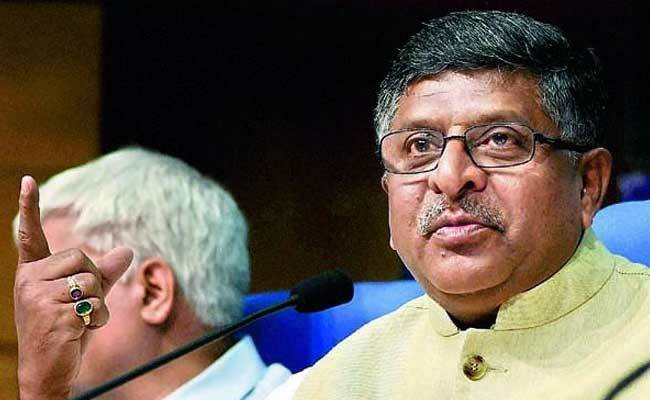 As India seeks to develop into a hub of international arbitration, Law Minister Ravi Shankar Prasad today lamented that only a "small fragment" of members from the Indian judiciary are part of the international dispute resolution mechanism. Terming it as a "sorry state of affairs", he wondered why very less number of arbitrators are from non-Western countries. "I am proud of my judiciary. It has given some of the best judges. But why do they not get adequate representation in international arbitration?," he said addressing a conference on International Arbitration in BRICS here. He also questioned the presumption that resolutions should come from arbitrators who are either trained in Western system or who are from the developed world. "It is an important issue and we'll have to articulate (on this)," he said. The Law Minister said according to one estimate, 69.8 per cent of the arbitrators are from the developed or first world countries. Mr Prasad, also lamented a lack of appellate mechanism in dispute resolution system and said there is a need to consider "some kind of very limited appellate mechanism" so that there is way to challenge the arbitration award by parties involved in arbitration. Referring to the quantum of penalties imposed in arbitration awards, he said when as the Law Minister, he goes through such orders, the first thing he looks for is the penalty. "My eyes get wide open...I have rarely seen such penalities... should ten investments and the dispute arising therefrom should lead to a dispute redressal with penal consequences that is designed to unsettle the economy of the country (where investments have been made)," he questioned. International arbitration must also appreciate the social constraints of investment in a country, he said asking why only "a few world centres" should always remain the "hubs" of international arbitration. Successive governments have been trying to make India into a hub of international arbitration on the lines of London and Singapore. The 1996 Arbitration law has recently been amended keeping in mind the Narendra Modi's government's push for "ease of doing business".